Go-Steel > About Go-Steel > Why choose steel for building your home? There are many reasons why steel framing is becoming the best and most feasible alternative building material for residential construction. For generations we have relied on the strength and durability of steel in commercial buildings, hospitals and schools. Now you can get the superior quality and safety of steel in your home. Go-Steel has many years of experience building homes with steel and this allows us to highly recommend using steel for your next building project. To help make your decision to use steel easier we have compiled a list of Steel Frequently Asked Questions. 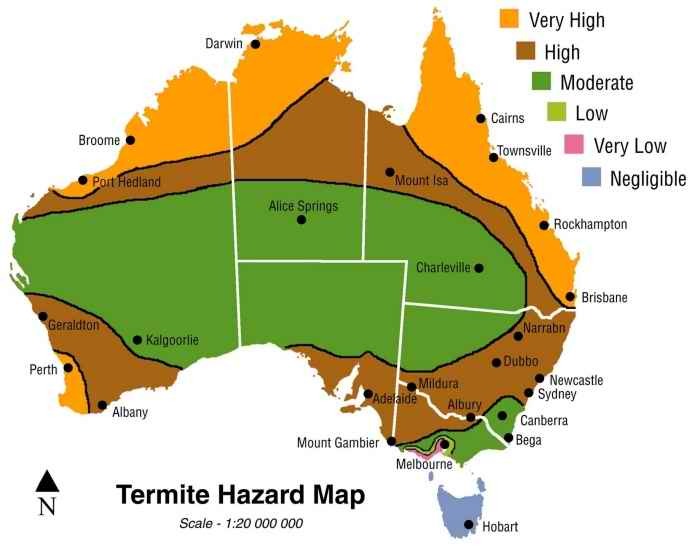 Termites are widely spread around Australia. View the map of Australia below indicating the risk around the country.